Tortuga & Tales from Tortuga Tortuga City is a community city building project in the world of DUAL UNIVERSE. The city is a place for trade, manufacturing and shady business. You'll never find a more wretched hive of scum, villainy and dashing rogues. Separated from the shackles of organization affiliations and political agendas, the cyberpunk world of Tortuga with its skyscrapers and neon signs will be home to adventurers and agents, artists and militarists, traders and thiefs. Tales from Tortuga is a series of fictionalized stories set in this world, created for the entertainment of the colonists of Alioth and abroad. Our adventure doesn't take place in the actual Tortuga of the game, it only takes inspirations from it. 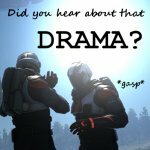 The stories you will read are not part of the official lore of DUAL UNIVERSE, it's a story within a story. Tales from Tortuga will be released in episodes every two weeks on SpaceshipDrama.com and here in the forum. The episodes are written by different authors from the community and comprise of stand-alone stories that will tell a 12 issue long overarching plot. The cover art of the issues is also created by different artists. You can get in contact with the writers and artists on the Tortuga City Discord. - Already Released - Episode 1: Do Not Go Gently by Kurock (PDF, 1MB) Episode 2: The Artful Affirmative by Ben Fargo (PDF, 1MB) Episode 3: The Hunter, And the Hunted by Cybrex (PDF, 1MB) - Coming on November 16th - Episode 4: The Hunter, And the Hunted 2 by Cybrex - Further planned issues - Episode 5 by Einu Vei Episode 6 by Einu Vei Episode 7 by Ben Fargo Episode 8 by Agilulf Episode 9 by Lethys Episode 10 by Kurock Episode 11 by Empress Episode 12 - The Finale Series trailer as seen on Ark Central: The Tales from Tortuga team hopes you all enjoy reading our stories! 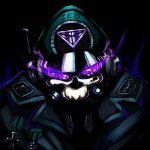 The current lore of Dual Universe states, that "at the moment of the Grand Exodus, humanity was divided into four main political movements". The first three movements are listed as the "Luminous" (looking for knowledge and wisdom), the "Alphas" (putting emphasis on strength and military power) and the "Emporium" (believing in the power of money and commerce). Those three will have a clear path and presumably character skills in the game - as scientists, soldiers and traders. For the fourth group on the other hand, the "Ethereans", the future is uncertain. As the lore states: "They believe in the power of culture and arts. For them, humanity needs to be driven by dreams, beauty, and ideals before anything else. This is what gives us meaning. They are not against more practical endeavors but like to see these activities as a way to expand and support their vision. They have many supporters but are also often criticized for their lack of pragmatic action." I asked J.C. at the Cologne Meet-Up if there are any actual game features planned for being an "artist" ingame and he said something to the effect of: not currently. Of course you could say that there are more pressing issues in the game's development and most people are probably waiting for things like the player economy and PVP. Yet, I find it interesting that "culture and art" is singled out as one of four political movements in the world of Dual Universe and I would like to see it reflected somehow. There was a bit of a discussion back in 2016 about being a musician, visual artist or entertainer ingame. Mentioned was a "Dual Stadium" for concerts and a "Dual Gallery" for artworks. The consensus was, that it would be up to the players to make art outside of the game and then bring it in the game themselves in one way or another. That seems to still be the idea. But i'm still wondering how you could integrate the professions of an "Etherean" in the game in a more thorough way. There have been MMO games with skill trees for professions like "Entertainer", "Dancer", "Bard", etc. Those revolved mostly around buffing your team-mates and maybe make money by performing. Could something like that be possible in Dual Universe? I don't know. Here's some examples of "Etherean" professions and their potential: Architecture - No-brainer. Building is an integral part of the game. Building something beautiful doesn't really do anything, but being a "decorator" could become a viable career path. Design - It's still unclear in what capacity players will be able to design elements. If it is purely decorative, as in skins, that could again be a career path, especially if you can sell your skins for ingame money. Painting - Displaying artwork from outside of the game on a screen ingame is easy. Actually making unique artworks ingame and selling them is probably a long-shot. Sculpturing - In a macro sense, this is already possible (and seen in NQs videos). You can use the terraforming tool to "sculpt landscapes". Can you do art with that? I don't know. Literature - Well... besides writing a book and presenting it on 1000 screens for people to stand in front of, literature will probably never leave the realm of "outside of the game". Music - Pretty much the same as the literature focus. I doubt we will be able to make original music inside the game. And streaming music from the the outside to the game has its own problems. But there is some discussion about "predefined sounds". Doesn't really sound like the life of a rock star though. 😉 Theatre & Dance - Now here's something with potential, maybe even for actual skills. You can already build a stage, get a bunch of people and perform a play for an audience. 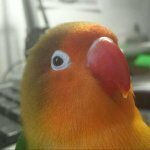 Sound / ingame voice is a problem of course. As for movements, NQ might plan on doing "dance emotes" but I doubt something more complex is in the works. As I said, there have been games with an actual "dance skill tree", but it probably doesn't fit with Dual Universe. Movie-making - Filming something inside the game and releasing it on YouTube is obvious. But playing videos on ingame screens might be a thing too. You can build a movie theatre around the screen and might even charge for tickets. So "movie theatre owner" could be an actual money-making profession in the game. But it sounds pretty taxing. But most importantly: When will the Ethereans rise and take control of the government? The proper meetup happens at "Ludwig﻿ im Museum Resta﻿﻿urant﻿" in about 2 hours. NQ plans on streaming from there, yes. We're there, if anyone else wants to join. Well yes, it was meant as a "come whenever you want", nothing formal about it. I have nothing better to do (Cologne isn't that interesting) and it's a good place to wait. No idea if anyone will even show up, so you might still be the first if you come at 6. Well, meeting shortly before the MeetUp in a park next to it wasn't really what I had in mind. If there's interest we can go the Irish Pub Warden mentioned or pick some other "base of inoperation" and just hang out there. And then people can join however it is convenient for them. We can still visit VValdmeister's park an hour before the MeetUp to group up with other people. But let's just pick a bar for the afternoon and I will take territory control of a nice table there. There doesn't seem to be a discussion about the (outside of) Gamescom MeetUp itself yet. According to NQs announcement, the MeetUp will take place at the "Ludwig im Museum Restaurant" (near the Cathedral in Cologne) and start around 20:30 (local time) on Thursday, August 23rd. At least 7 NQ staff members will mingle with DU fans there and J.C. Baillie plans on doing a live-streamed AMA. Questions can be sent in advance to community@novaquark.com - and maybe posted in the thread "Alpha Roadmap AMA Questions" (i'm actually unsure if it's supposed to be the same AMA). As for the evening MeetUp itself, about 30 people participated in the poll - it's unclear how many will show up. I hope NQ planned ahead for the masses. I will be in Cologne the whole day, but not actually visit Gamescom. I'm wondering if there is any interest in doing an afternoon "MeetUp before the MeetUp" with other visitors. Otherwise i'm looking forward to meeting people in the evening. Let's declare some wars. It's a magazine (and in a way a historical document). I will not change already released issues. But there might be a return to previous topics in later issues. Issue 3 should be coming soon hopefully.